Fun-loving bag in iconic Gucci® print. Tote made of 100% crosshatch, vegan leather. Rainbow star print over branded print. Open, lined interior includes back-wall slip pocket. 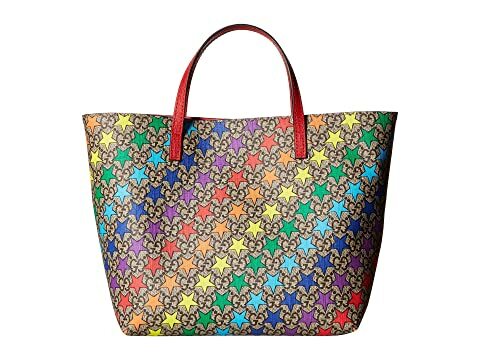 We can't currently find any similar items for the GG Mini Star Handbag (Little Kids/Big Kids) by Gucci Kids. Sorry!